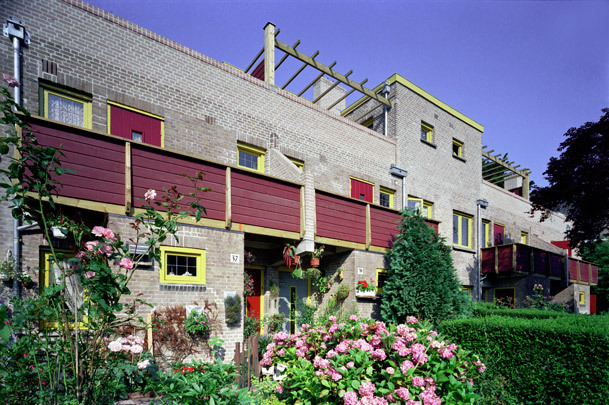 In Zuiderhoutpark, a residential area for which he had already designed many traditional houses, Van Loghem built 86 'middle-class' dwellings around a communal garden accessed through two gateways. Houses alternate between two and three storeys, the latter having a roof terrace with wooden pergola. Entrances are marked by a storeroom extension topped by a balcony. Living rooms each look onto a private plot that gradually cedes to the oasis of the communal garden.